THOMAS E. “GENE” CARNESThomas Eugene “Gene” Carnes was born on September 5, 1938, in San Antonio, Texas, the son of Collins George and Mary Rose Etta Ward Carnes. Gene attended Schools in the Harlandale Independent School District and was in the 1957 graduating class of Harlandale High School. Gene has attended several colleges thru the years including San Antonio College, St Phillips College and Texas State Technical Institute. He married Miss Gay M. Barbour on October 31, 1959, in San Antonio, Texas. Gene and Gay have two sons, Larry Dell Carnes, who lives in Paradise, TX, and James Douglas Carnes, who lives in Pipe Creek, TX. They have been blessed with two granddaughters, one grandson and two step-grandsons. Immediately after graduation from High School, Gene went to work at Perry Shankle Co., a wholesale distributorship. He advanced to head counter salesman in the radio, television and appliance parts department in five years. Gene went to work for the United States Air Force at Kelly AFB in 1962, where he was a maintenance technician on airborne radar and navigational systems. In 1966 Brother Carnes moved his employment to US Air Force Security Service, where he was a technical representative on several cryptographic systems. He later moved to the Command Headquarters of the Air Intelligence Agency as a Logistics Management Specialist and retired in 1994. During his tenure as an employee of the Air Force, he attended many professional schools including the Air Command and Staff College, Air University Seminar program, graduating in 1991. He attended many technical and management schools throughout the country. He was certified as a Level I Acquisition Logistics Professional in 1992. Gay also worked for the same Air Force Unit as Gene where she was a Program Analyst Officer. They both retired from Air Force Civil Service on 31 January 1994.Brother Carnes is a sixth generation Mason. His predecessors go back to the States of Georgia, South Carolina, North Carolina and Pennsylvania. His Great-Great Grandfather was the charter Junior Warden of Jonesboro Lodge, Jonesboro, GA. Brother Carnes’ Masonic career began in 1962 when he petitioned Harlandale Lodge No. 1213 in San Antonio. He served as Master of Harlandale Lodge in 1969–70. The family moved to Pipe Creek, TX in June of 1969. He affiliated with Bandera Lodge No. 1123 as a duel member and served as Master of Bandera Lodge in 1977-78. He also holds plural memberships in Rising Star Lodge No. 429, Kendall Lodge No. 897, Fredericksburg Lodge No. 794, charter member of Point Isabel Lodge No. 33, and Tranquility Lodge No. 2000. He served as District Deputy Grand Master of the 51st Masonic District in 1980 under Grand Master Sam E. Hilburn. In 1982-83 he served as Chairman of the Special Assignments Committee. He was elected as a Member of the Committee on Work in December 1983, serving as Chairman in 1988. He continued service on the Committee on Work until December 1990. He served as a member of the Membership Maintenance Committee from 1998-2001. 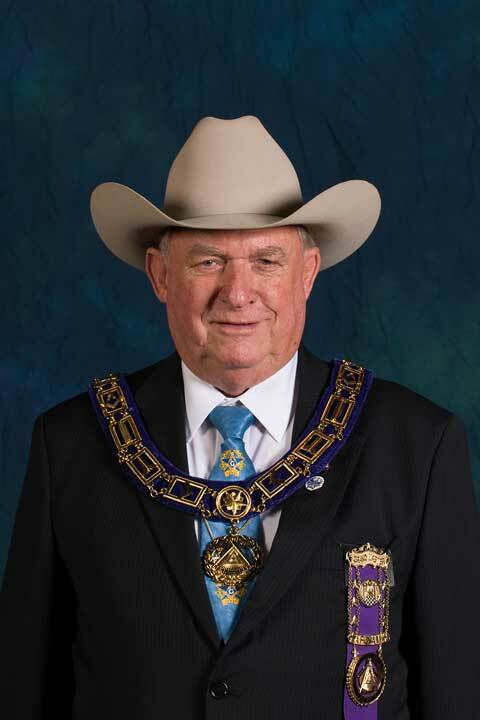 He was appointed by Grand Master Mike Gower as Grand Marshal of the Grand Lodge of Texas in 1999. He received the William M. Beck award in 2002. He served as Master of Tranquility Lodge No. 2000 in 2003-04. He is the present Grand Representative to the Grand Lodge of Nebraska and served on the Purposes and Policies Committee of Grand Lodge from 2000 -2007. Brother Carnes has served on the planning teams and Conference Programs for many Grand Masters and was the State Coordinator for Grand Master Thomas F. Griffin until he was elected Grand Junior Warden in 2007. Brother Carnes received the Demolay Legion of Honor in 2008.He was elected Grand Senior Warden in 2008, Deputy Grand Master in 2009, and Grand Master on December 4, 2010. Brother Carnes is an Endowed member of Helotes Chapter No. 444, RAM and Helotes Council No. 362 R&SM and San Antonio Commandery No. 7. He is an Endowed member of both the San Antonio and Waco Scottish Rite Valleys and is a 33rd Degree Inspector General Honorary and has severed as the presiding Officer of three of the Scottish Rite Bodies. He is a member of the Texian York Rite College No. 60, St Anthony Conclave, Red Cross of Constantine, the Allied Masonic Degrees, Alzafar Shrine, Omala Grotto, Royal Order of Scotland, Texas Lodge of Research, Missouri Lodge of Research, Past President of Ft Sam Houston Chapter No. 17, National Sojourners, Past Commander of Alamo Camp, Heroes of 76, Friendly High Twelve Club No. 744 and Past Patron of Bandera Chapter No. 643 and Boerne Chapter No. 200, Order of the Eastern Star.